Even officials at state welfare agency NAV, which handles everything from pension payments to unemployment benefits, are puzzled. “When I try to calculate what’s happening, I can’t get it to figure,” Per Lund, a director at NAV, told newspaper Dagens Næringsliv (DN). Neither Lund nor other economists can quite figure out why all the numbers of job cuts reported by companies in Norway lately aren’t reflected in unemployment statistics. The job cuts simply haven’t resulted in much higher numbers of people registering themselves as out of work. 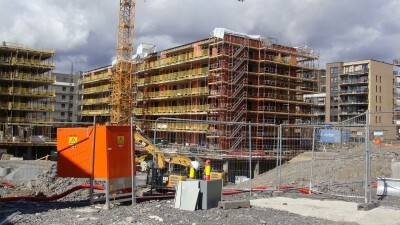 Oil service and offshore companies in the southwestern county of Vest-Agder alone have laid off more than 5,000 people since last year, but even there, unemployment figures are declining, housing prices are rising (up 5.6 percent so far this year) and new car sales are strong (up 1.7 percent). Where have all the laid-off people gone? Others who’ve earned well over the years and possibly still have working partners or spouses may also have simply opted against registering themselves as unemployed and applying for benefits. Some may not need them, others may want to avoid the process or have obtained severance pay packages to tide them over, and feel they’ll find new work on their own. Still others laid off may well have been foreign workers who came to Norway when the oil industry was booming and now have moved home, Lund said. It’s earlier been reported that foreign workers are often among the first to be laid off, and when they lose their jobs, many also lose their residence permission in Norway. Whatever the reasons: New figures show that the actual number of unemployed people in the oil counties fell by 2,345 in February, March and April, the first decline since May of last year. It’s the strong sales considered to be key economic indicators, like those within housing, cars and appliances, that perhaps surprise vendors as well as economists the most. Against all the odds, there are signs that Norway’s economy already is on the rebound. “We have had a start to the year that’s exceeded all expectations,” Helge Ellingsen told DN. He’s managing director of Stavanger-based Bavaria Norge, which sells high-priced cars, mostly BMWs. “We’re running 20 percent better that budgeted so far,” Ellingsen said, noting that the firm hadn’t set their budget low, but actually higher than last year. Car registration figures for Rogaland County, the traditional heart of Norway’s oil industry, are also rising, with BMWs up 25 percent over last year at this time. Even registrations of Porsches are up, with 27 registered with the authorities so far this year, compared to 15 in the same period last year. DN reported that while overall cars sales in Rogaland were down 2 percent, by 89 vehicles, the decline was less than last year and luxury car sales were up. On a national basis, new car sales are up along with an increase of 6.3 percent in new car registrations. The downturn in other “oil counties” like Hordaland, Møre og Romsdal and Agder has also slowed, while housing prices in all the oil counties have revved up so far this year, at least on a month-to-month basis. Even Stavanger registered prices in April up 1.2 percent from January. They’re still down on a year-by-year, by 7.2 percent, but the tide seems to be turning. Record low interest rates have contributed towards making Norwegians more willing than ever to invest in housing. In Oslo, where housing demand remains strong, prices are up 10.5 percent over the last 12 months, accrding to the latest figures from industry organization Eiendom Norge. They’re up 43.7 percent over the past five years, to a point where affordability is a growing problem, especially for first-time buyers. Christian Dreyer, director of Eiendom Norge, told newspaper Aftenposten last week that he still thinks the housing market in Norway is divided in three segments when looking at price development over the past year. The Oslo area is booming, the Stavanger area registered an annual decline and most of the rest of the country is seeing moderate growth. Housing prices were up 3.2 percent in Bergen, 4.1 percent in Trondheim and 3.7 percent in Tromsø, for example. One of the most spectacular examples of housing price growth in Oslo, meanwhile, occurred just recently in the tradtionally working class neighbour of Vålerenga on the city’s east side. Aftenposten reported how a small, two-room flat in a building constructed in 1939, was appraised last month at NOK 2.85 million (around USD 350,000) for its 55 square meters (roughly 550 square feet). That’s a price of around NOK 52,000 per square meter, a level now considered moderate in a city where homes in more fashionable areas routinely sell for nearly NOK 70,000-, or even over NOK 100,000 per square meter. The Vålerenga flat ended up selling, the day after it was shown for the first time, for NOK 3.7 million after an active bidding round among prospective buyers. The last time it sold, in 2013, the price was NOK 2.48 million, meaning it appreciated by nearly 50 percent in the past three years. In 1993, it sold for just NOK 210,000, meaning that the flat was now deemed to be worth 18 times its market value of just one generation ago.